I know. I know. I usually write this blog on a topic of interest for those who live on an acreage or for those of us who wish we did. Today, however, I am SO excited about an acreage project we are involved with that I just have to share it. 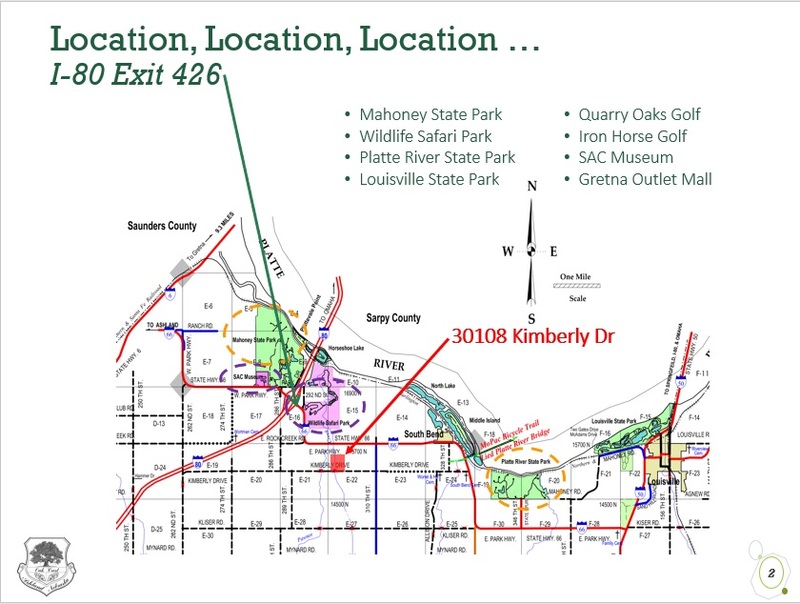 We have two parcels located directly in between Omaha and Lincoln. 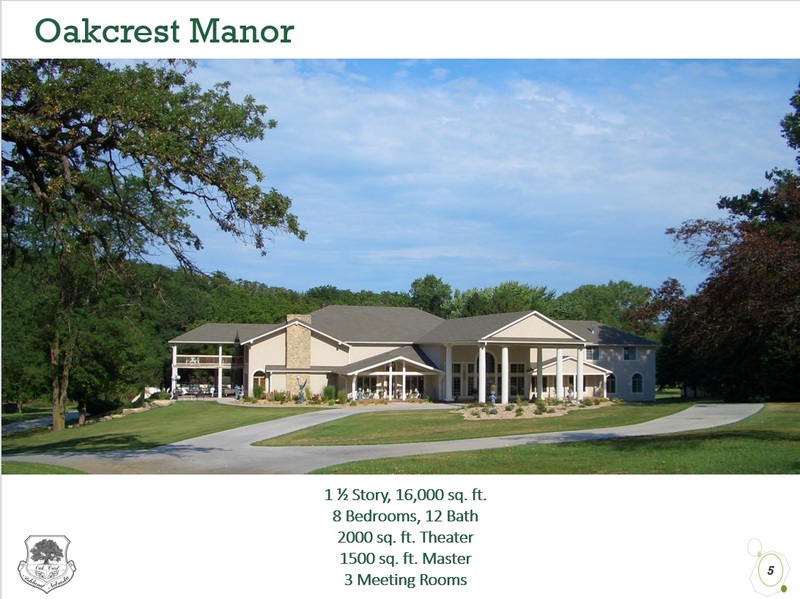 The first is a luxury home situated on 23 +/- acres that would be the perfect place for a wedding venue or simply a place to live out your acreage dreams. For a video walkthrough of this home and the surrounding grounds, click here. The second is the 20 +/- acres that are adjacent to the home and are separated by the meandering Pawnee Creek. Click here for more information on this parcel. The possibilities are nearly endless in what can be done with one or both of these incredible properties! As you can see from the map above, the location is perfect! 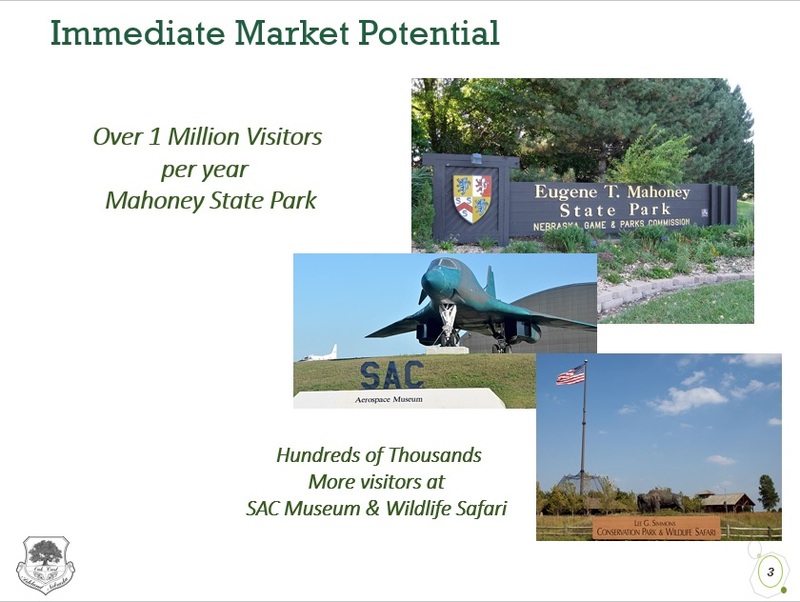 While several scenarios are in the planning stages, whichever one you choose, your project will benefit from the fact that Mahoney State Park and all of its amenities is just 5 minutes away. 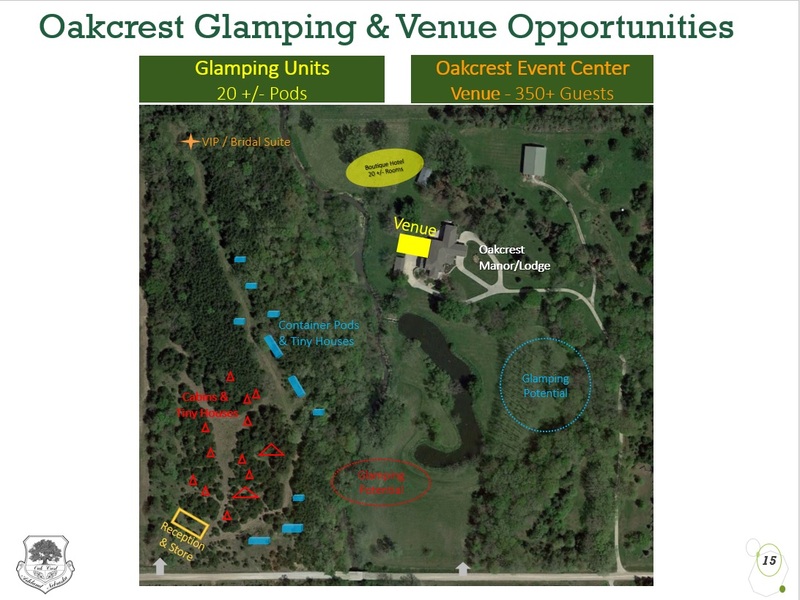 Couple that with Platte River State Park and it's new glamping site, SAC museum, and the Wildlife Safari and you have the perfect place to place to plan your investment. With the elegance and spaciousness of the rooms, this is truly the perfect place for weddings, reunions, etc. Imagine the bridal party preparing in the 1500 sq ft. Master Suite or the bride making her grand entrance down the divided open staircase. The current owners have hosted sit down dinners for over 200 in the 2000 sq ft theater. Or, if you aren't the parting type, maybe you just enjoy a life of luxury by making this your new place to call home. 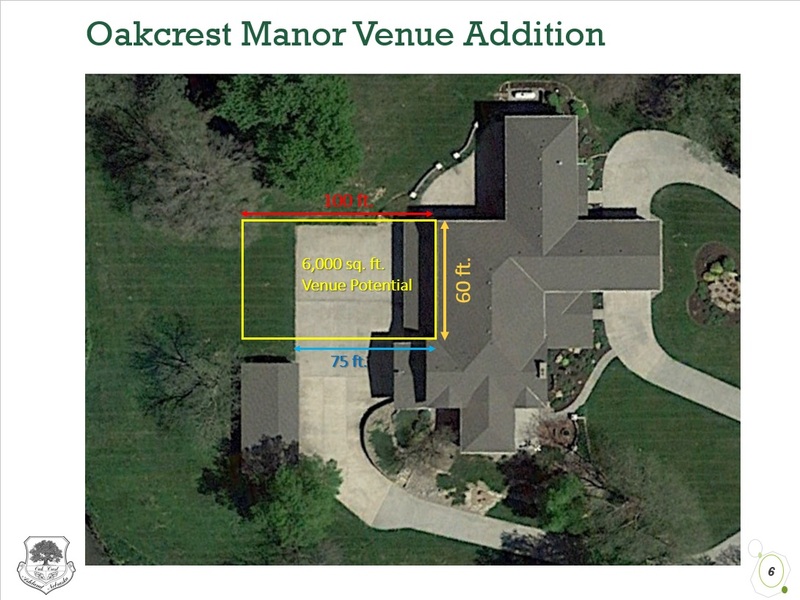 The Seller has proposed building a 6000 square foot venue off the backside of the home to host the above-mentioned events. There's plenty of parking off the side and also room to build a boutique hotel to keep guests safe and sound when the night is over, offering you an even greater revenue stream. Another option is depicted above. 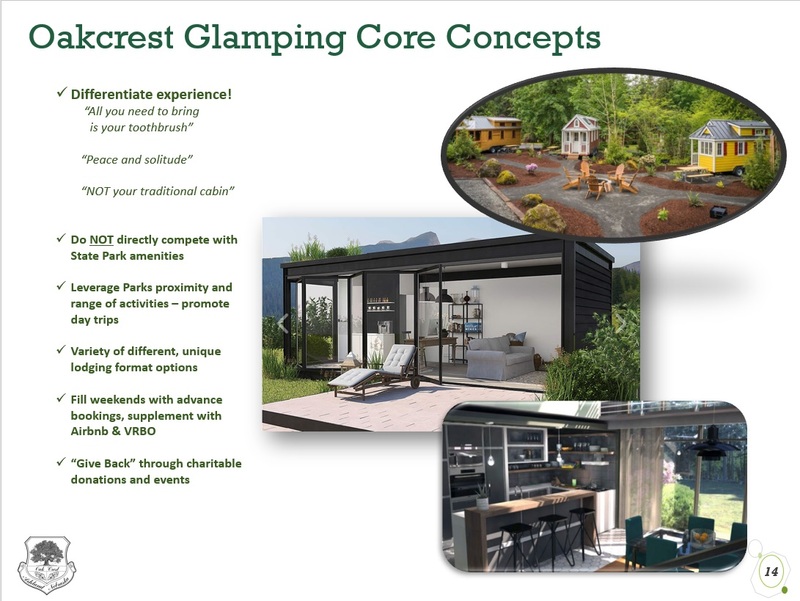 This one involves the adjoining 20 acres being used to construct a Glamping Campground. This is the idea that the Cass County likes best. For more information on this idea, visit the website dedicated to the project: www.NebraskaGlamping.com Take a look below at a possible layout for any and all of the investment opportunities. Depending on which path you take, you are looking at somewhere between 15-20% ROI, we're talking cash on cash! The current owner is willing to sell the entire property outright or partner with you in this incredible opportunity, either silently or actively. Opportunities like this don't come around every day...call or text us to learn more. We'd be happy to email you a powerpoint presentation put together by the owner that includes all of the above plans along with financials.